Anne Gordon (Chicago) - Book Appointment Online! 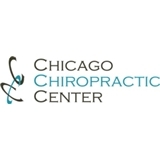 We are dedicated to providing the most effective treatment methods known that will reduce, eliminate, and stabilize your conditions related to the musculoskeletal and nervous systems. We strive to exceed your expectations by focusing on your needs, wants, and goals. Everyone in the office was so kind and helpful!